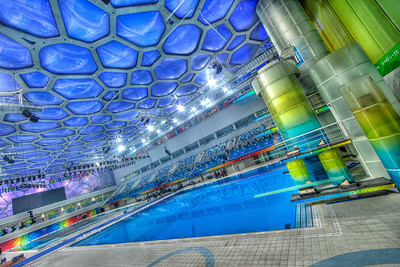 Inside the Beijing Olympics Water Cube. 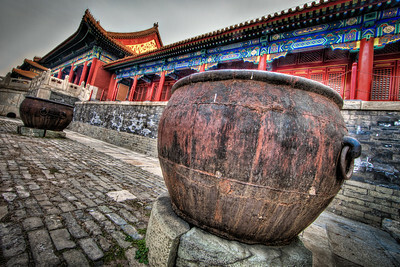 Cast in the 1400s, these giant pots held water for firefighting. 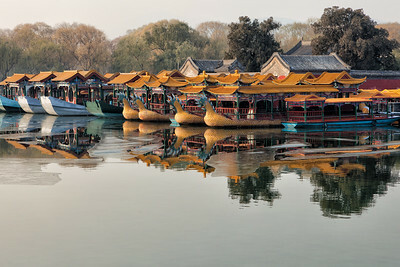 Boats parked on Kunming Lake in the Summer Palace complex, Beijing. 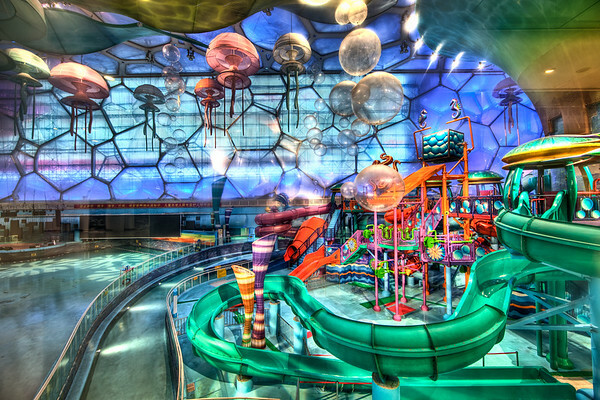 A waterslide park in the Beijing Olympic Water Cube. 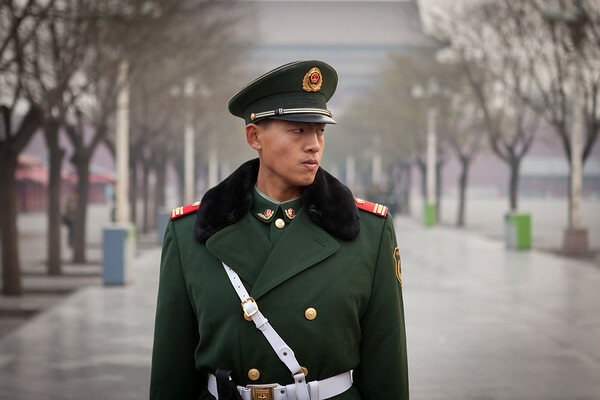 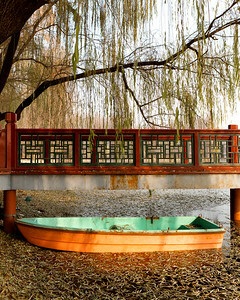 On a partially-frozen lake in Yuan Ming Yuan gardens in Beijing. 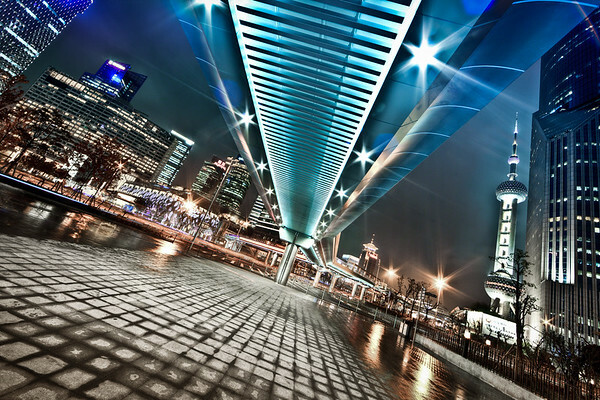 A futuristic bridge overhead in Pudong, Shanghai. 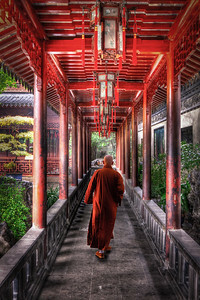 Serene hallways of Yuyuan Gardens in Old Town Shanghai. 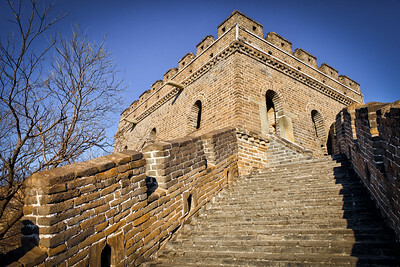 One of 22 watchtowers along the Mutianyu section of the Great Wall of China. 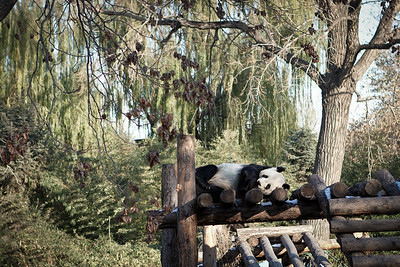 A panda bear sleeps at the Beijing Zoo. 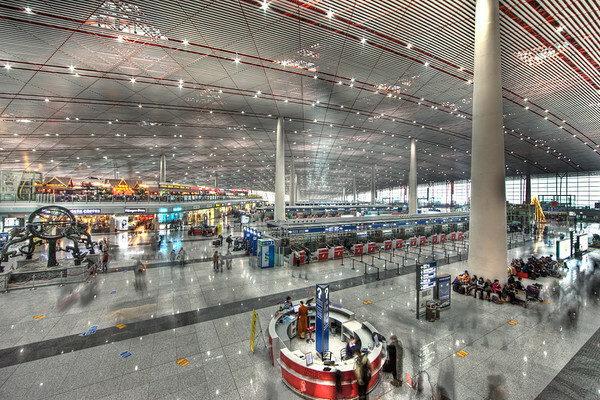 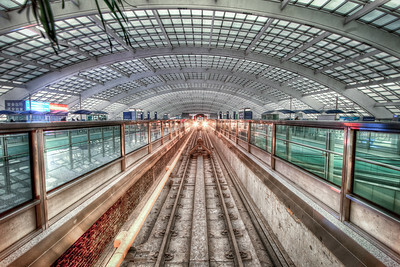 A metro arrives in one of the train terminals in the Beijing Airport. 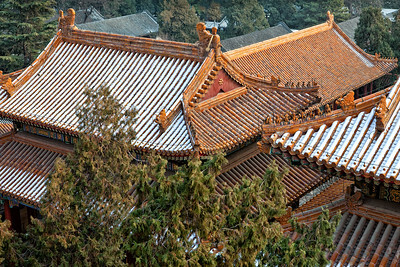 Snow-covered rooftops in the Summer Palace, Beijing. 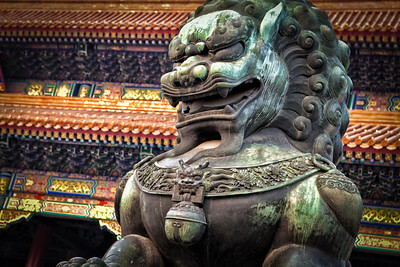 One of the massive bronze dragons guarding the Gate of Supreme Harmony in the Forbidden City. 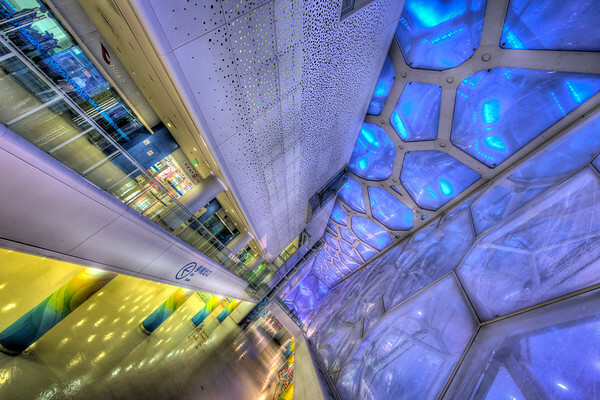 All Around Us Can't You See? 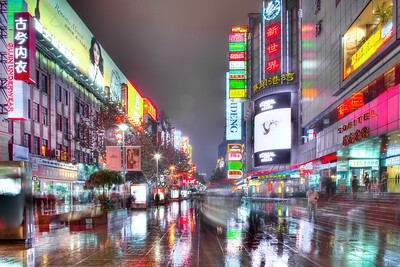 The pedestrian mall of Nanjing Road, Shanghai. 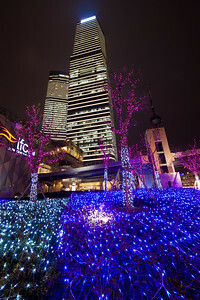 Lights low and high in the Pudong district of Shanghai. 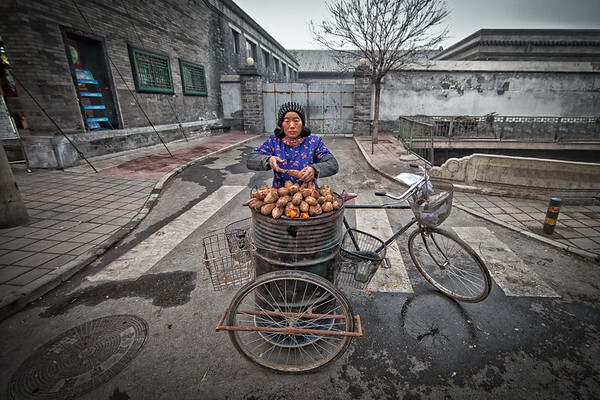 A woman roasts yams on the streets of Beijing.